ooba bond originators( spelt ooba bond, NOT uber bond) hit the South African bond origination, car and household content insurance marketplace on 1 March 2008. Formerly known as Mortgage SA, ooba bonds is the rebranded incarnation of this established market leader in the mortgage lending and short-term insurance industry. Read more about this bond origination company below, or get a free quote in 60 seconds. ooba was built on strong foundations. Given Mortgage SA's standing as leading home loans originators and experts in bond origination, ooba entered the business with a wealth of human capital and property finance experience. The company already had a streamlined bond application process in place, leveraging technology and state of the art bond application systems to speed up the home loan application cycle. 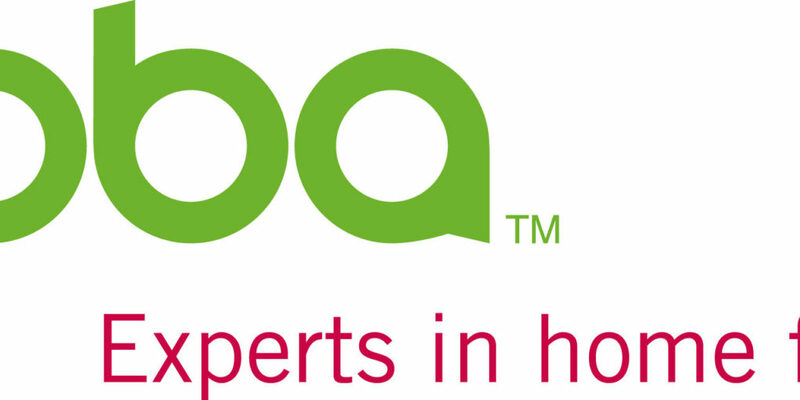 In essence, ooba bonds offers South African homeowners a”complete homeownership solution”. Significantly, ooba was already familiar with the nuances of new property regulation such as the National Credit Act (NCA), and had already built up relationships with all South Africa's major banks, enabling them to get multiple home loan quotes and negotiate the best home loan interest rates on behalf of their customers. In addition, an established customer-focused bond origination culture means that prospective homeowners are kept in the loop during the fast and seamless processing of bond applications. Ostensibly, the decision to rebrand their corporate identity during 2008 stemmed directly from the need to differentiate the brand from many similarly named insurers such as SA Home Loans, Bonds SA, etc. During the tail end of the recent property boom it was fairly hard keeping up with bond companies and originators' messaging, with a plethora of small conveyancing outfits joining the bond origination fray. Mortgage SA introduced South Africans to bond origination as early as 1998 under the guidance of the Geffens, SA's first family for property sales and marketing. The late Aida Geffen put Aida Properties on the map' whilst Lew Geffen went on to become a top-end property marketer in his own right. Mortgage SA's position as a leading South African bond origination company was undisputed, but the marketplace noise levels just kept climbing. And now, at a time where 1 in 2 bond applications are unsuccessful and more marketing spend is directed towards retaining a shrinking share of a shrinking cake, a radical facelift seemed prudent. As the result of creative consensus between several brand and advertising agencies and Mortgage SA's in-house creatives, the name ooba was described as friendlier, more approachable and unquestionably aspirational. The crisp green corporate identity also made for a refreshing change from the orange palettes that dominated the early South African bond origination industry look and feels. But it wasn't just all cosmetics, although the launch publicity cost R32 million in media alone. In addition to offering a bonds and mortgage origination services (ooba bond), comprehensive range of short-term insurance products, ooba has also branched out into areas such as property search (ooba search), a personal credit solution (the ooba card) and a comprehensive short-term insurance solution comprising home loan debt cover, life assurance cover as well as household content cover. Brought to you by the same people who pioneered bond origination in South Africa (that being Mortgage SA), the ooba bond gives you the power to afford the home of your dreams. This is bond finance at it's best – simple and efficient bond origination processes, combined with ooba's expertise make the ooba bond origination experience a fast and hassle-free one. ooba has the muscle and expertise to negotiate the lowest bond insurance rates on your behalf with the banks. But don't put our word for it – put the ooba's bond origination expertise to the test today. ooba also offers pre approved bonds, second bonds/home improvement loans (also known as second mortgages. Simply submit your details – one of their expert bond originators will call you back to discuss your bond finance and property-related financial needs. Introducing South Africa's finest comprehensive home insurance solution… ooba Insurance, packaged as ooba insure, protects your home, vehicles and household content with tailor-made bond cover and household insurance. Medical aid, life assurance cover, retirement planning as well as death and permanent disability cover are all vital elements in a balanced financial portfolio. Let the ooba bond insurance experts help you determine your financial needs, both in terms of long-term financial planning and short-term insurance and life assurance needs. Looking to buy a property? Shop smart with ooba Search – it's online property search made simple! Powered by Property Genie, South Africa's leading property search portal, ooba Search gives the largest property selection as marketed by leading real estate and property sales agencies. Forget the property classifieds ads' save your petrol, improve your carbon footprint and find your perfect home – all at once – by pointing your browser to the ooba Search page. When you qualify for a bond from ooba, you'll also be eligible for the ooba home improvement credit card (Mastercard). The ooba card is the home improvement credit card that gives you the power to turn your property into your dream home. Enjoy discounts on leading home improvement services and products from partners such as WEYLANDTS, Water Comfort and ADT security.